Located at the Hilton Inn at Penn, Louie Louie is the Fearless Restaurant Group's latest offering. 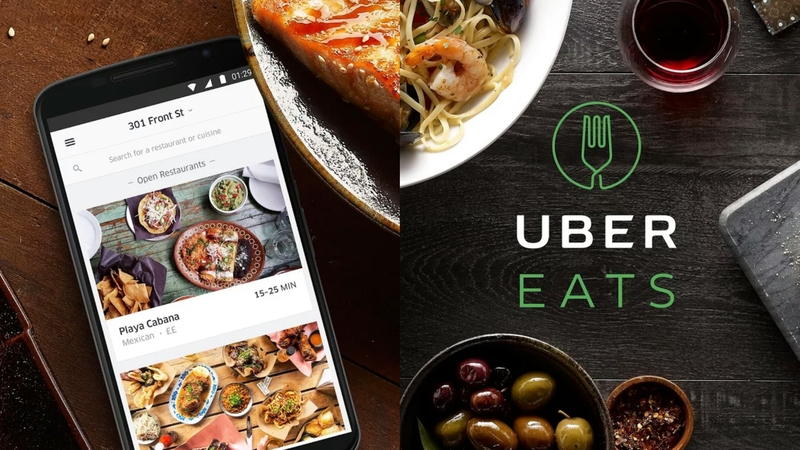 And while it's only been a week since their opening, it's clearly a hit. Because what's not to love? 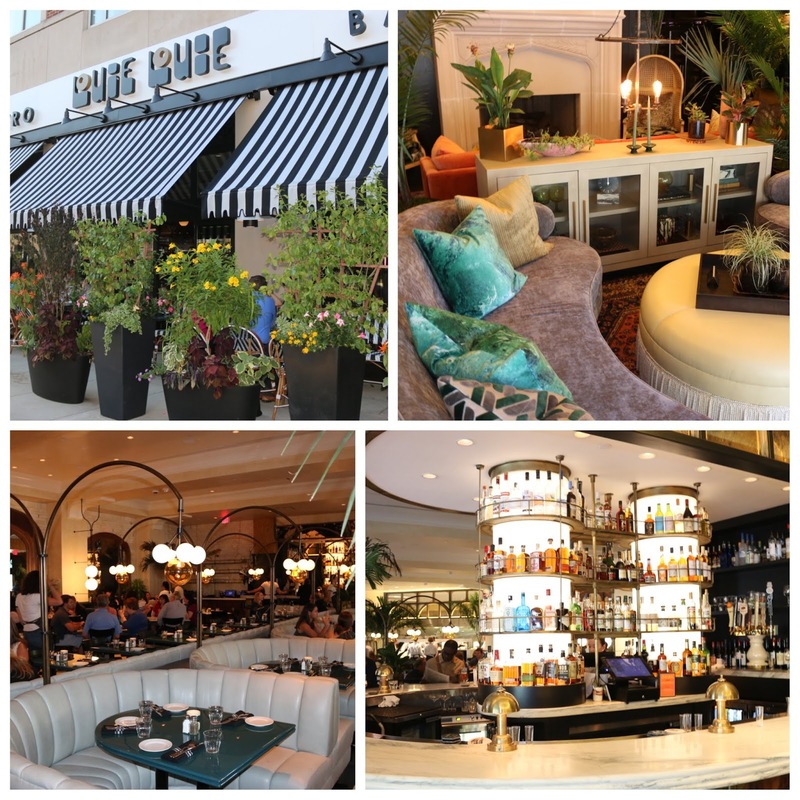 Sleek, with a gorgeous interior courtesy of Rohe Creative, Louie Louie offers American bistro fare with French inspirations. And the bar? Retro and gorgeous. I enjoyed the dual old fashioned, which featured both their Jefferson Barrel select and Buffalo Trace bourbons, with the sweetness of the caramelized sugar really coming through. The GF's white cosmo was refreshingly sweet, with the triple sec and white cranberry offering up light notes that went well with the effervescence of the sparkling wine. And the etched rose made of ice? Instagram-worthy for sure! 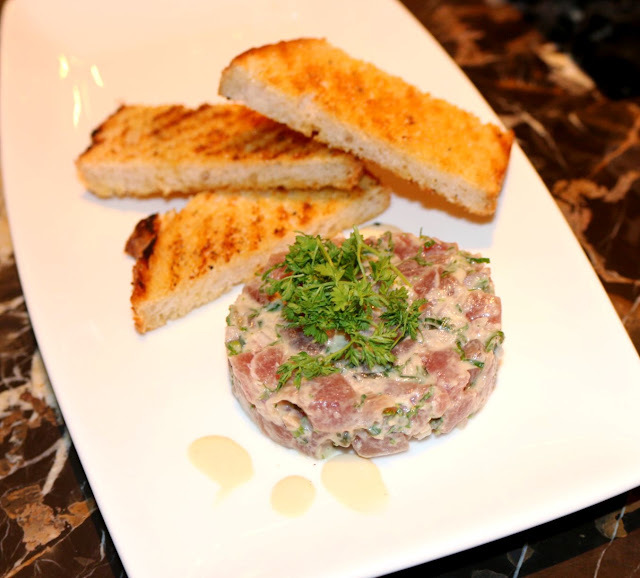 Accompanied by buttered toast points, the tartare was well-seasoned and delicious. Easily enjoyed! 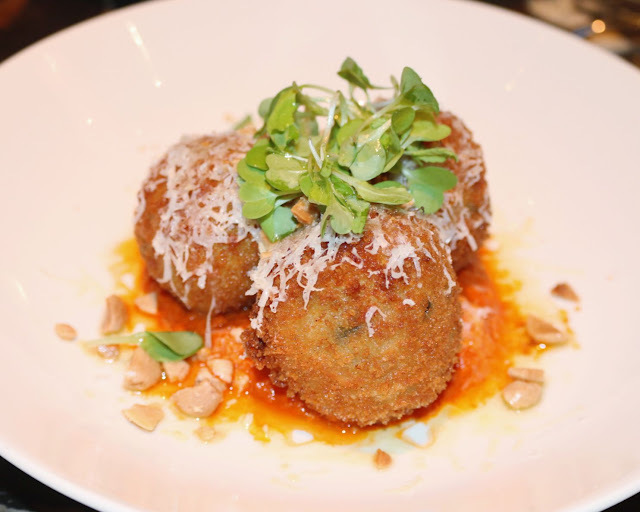 The GF was raving over the arancini - deftly fried with al dente rice and the creamy, yet tangy goat cheese coming through. The Romesco sauce offered a nicely acidic counterpoint to each bite. 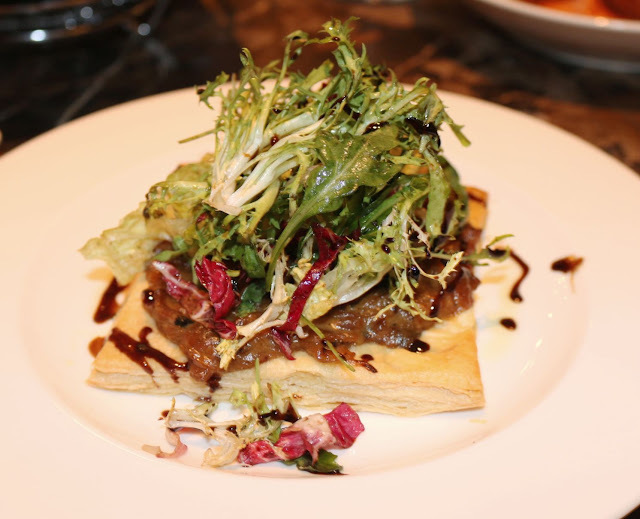 Sweet and rich caramelized onions sat atop puff pastry, with the brininess of the olives and the bitter arugula providing some balance. For her main, the GF enjoyed tiny ravioli, filled with comte cheese. 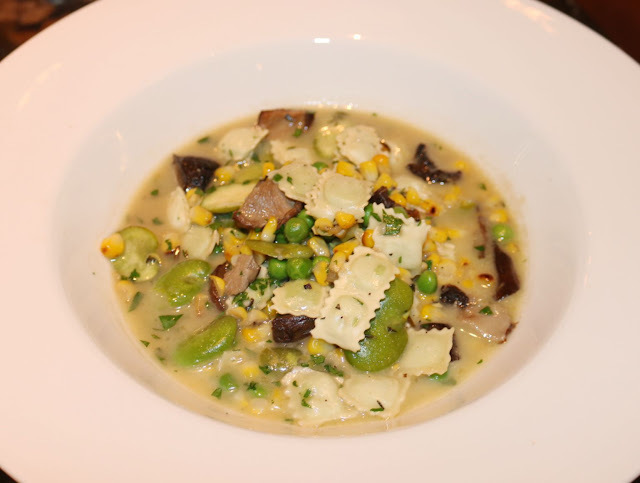 Fresh seasonal peas and corn studded the broth along with favas and shiitakes. This was a nicely light summer dish. For my money, I'd highly recommend the French dip. In fact, it might be the best sandwich I've had in recent memory (certainly the best French dip in Philly!). Moist, tender beef was draped with melted gruyere. It's all housed within a crisp demi-baguette that was slathered in black truffle mayo. And the shallot broth? Ridiculous rich! And you can never say no to any of the Fearless Restaurant Group's fries - always a standout and Louie Louie doesn't disappoint. After the French dip, I was glad we went with a palate cleanser of sorts. 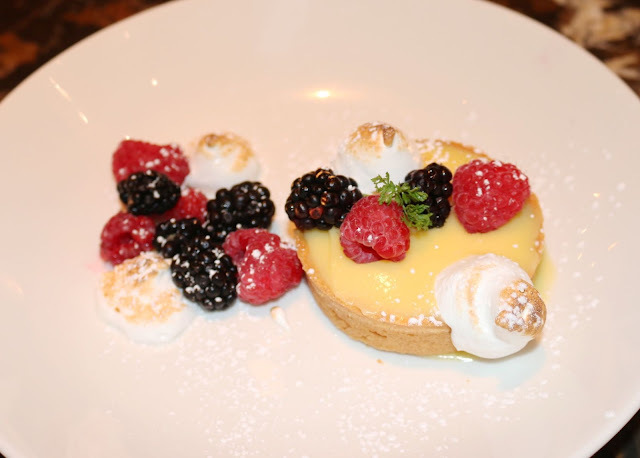 The lemon tart was, well ... tart with plenty of fresh sweetness coming through from the berries and clouds of meringue kisses to offer up some lightness. I'd definitely recommend stopping by Louie Louie. Beyond the Penn & Drexel students and families stopping by, I know it'll be a hit with the food and vibe that Louie Louie has to offer. 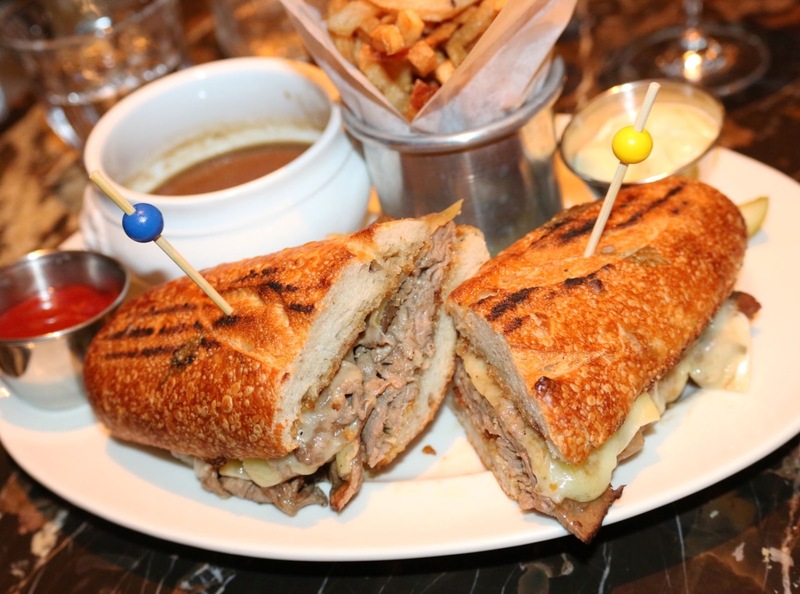 Check it out and let me know what you think about that French dip!